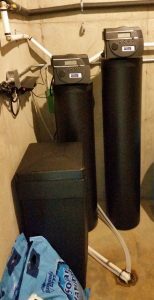 Existing Mountain Water Systems customer decided to do an upgrade of their eleven year old water softener and iron filter system . So they decided on getting our Platinum Series system which is the top of the line for a filtration system on the market for hard water. The Asheville family noticed a huge difference in the quality of the water with this upgrade. We explained that the upgrade is also much more energy efficient and uses less water in the backwash cycling. Click here for more info about the Platinum Series ! Bring your sample bottle of water to the store for your free test ! They’re very happy with their investment. Want some more information on our Platinum system please give us a call at our office 828 683 5400, for more information and how we can make your water better no matter where you live in Western North Carolina, city or well water ! 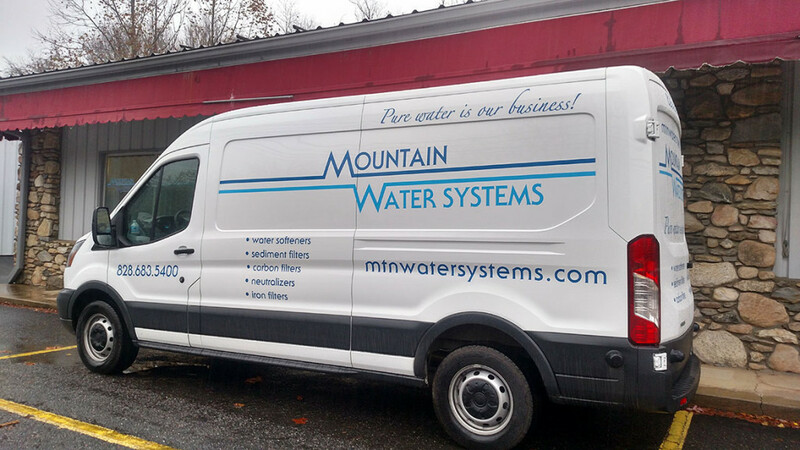 If you see this truck on the road you know someone is getting a American Made water filtration system.